Daredevil Season 2 is arriving on our many different screens next year, which means talk has already begun about who will be The Man Without Fear’s next adversary. 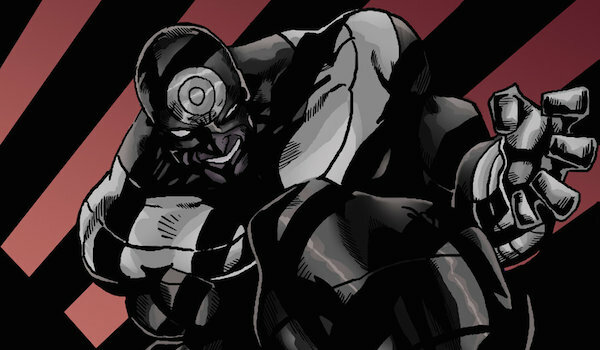 One of the most frequently mentioned candidates is longtime nemesis Bullseye, and this was fueled further yesterday by the rumor that action movie extraordinaire Jason Statham is being looked at to play the always-accurate villain in 2016. However, despite Bullseye always hitting his mark, being in a Marvel project sounds like it would be a miss for Statham. Any guy can do it. I mean, I could take my grandma and put her in a cape and then put her in a green screen, and they’ll have stunt doubles come in and do all the action. Anybody can do it. They’re relying on stunt doubles and green screen and $200 million budget. It’s all CGI created. Well, Mr. Statham, should this rumor about you playing Bullseye be true, you won’t have to worry about dealing with CGI and green screens. With a few exceptions, the action sequences in Daredevil are practical and full of well-rehearsed stunts. Just look to that memorable fight scene at the end of Episode 2 for proof. Plus, since you have plenty of experience doing your own stunts in films like The Transporter and Crank, you’ll be doing Bullseye’s action scenes all on your own. Other than learning how to throw Bullseye’s various projectile weapons, this is your wheelhouse! Perhaps if you learns about what Daredevil has been able to accomplish, your opinion of Marvel would improve, at least where their small screen endeavors are concerned. This won’t be Statham’s first time being connected to the Daredevil franchise. Before Marvel got the rights back to the character from 20th Century Fox, Statham was being looked at to play the titular hero in a film reboot. While seeing him wear the crimson costume and wield the billy clubs on the big screen would have been great, I think we can all agree that it was better Marvel ended up making the TV show with Charlie Cox as the lead. Keep in mind that this Statham-as-Bullseye report hasn’t been verified officially, and Marvel claims there is no truth to it. That being said, Statham’s only competition in the live-action Bullseye department is Colin Farrell in the 2003 movie, a portrayal which many complained was way over-the-top. With Statham’s action experience and the different tone of the TV series, it’s extremely likely that Statham’s performance would be more well-received, if not more faithful to the comic book incarnation. Daredevil Season 2 is set to begin filming later this year for its 2016 debut, so one way or another, we’ll find out soon who the next big enemy for Matt Murdock is, along with whether Statham is involved or not.